박 사장님은 잘 놀고 남들도 즐겁게 할 줄 안다. 2001년9월15일. 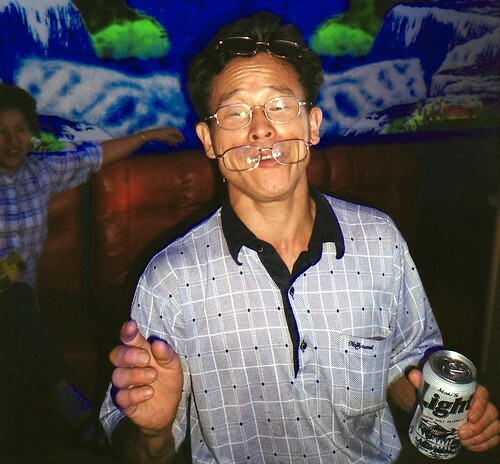 Mr Pak knows how to have fun and make others have it too. Sept 15, 2001. Any updates? You're not the most prolific of posters, but I've been reading your blog for over a year, and would hate to see it die. Please put my worries to rest! Sorry for being quiet for so long and not even leaving any note about it. I've been working full day since September, and on top of that we're renovating a house during the rest of the time, so blogging has not really been a priority... But I'll return.